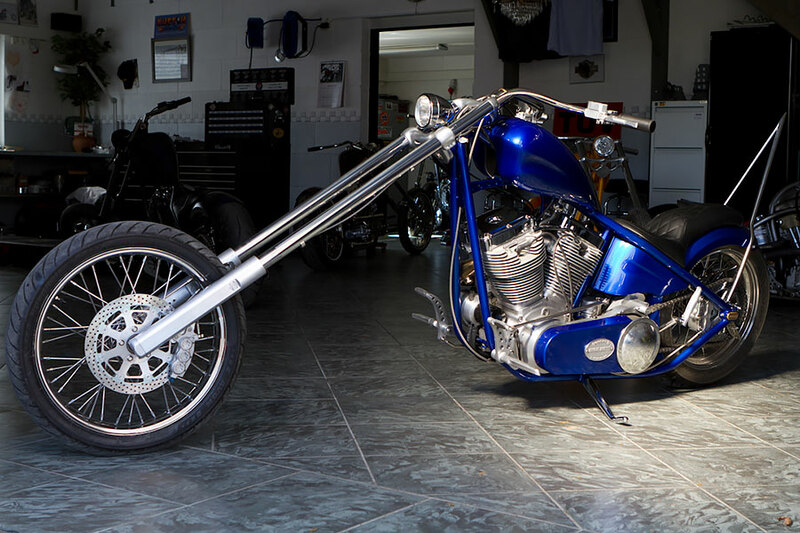 A-Choppers are no-compromise motorcycles, hand built using only top quality components, Long, Lean & Clean. They also handle exceptionally well. 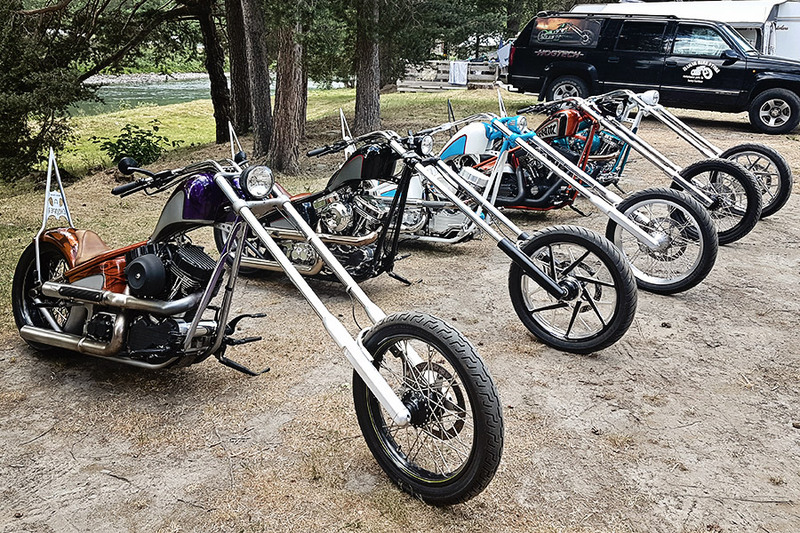 The experience (since 1982) as builder and riders has develop the perfect combination of rake, trail and technical constructions that makes riding this choppers fantastic. 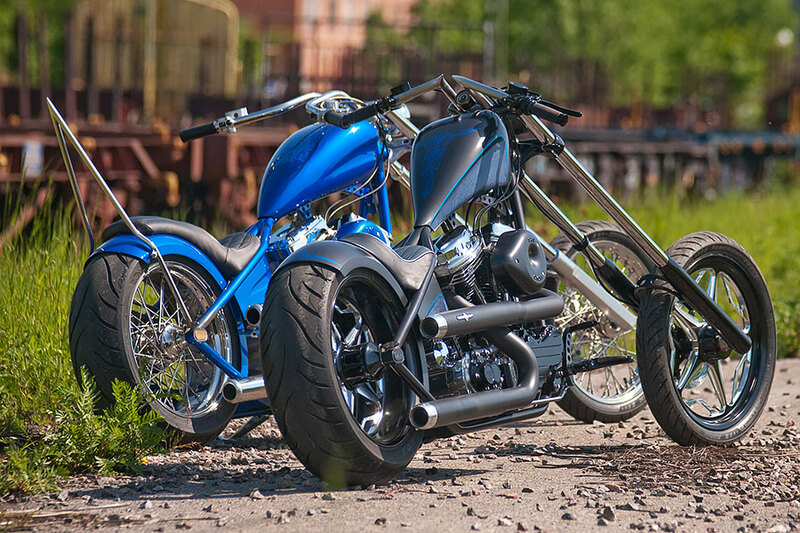 The choppers are available through Hogtech’s exclusive Partners. The only way to find out is for you to try it out! Contact a Partner near you for a test ride, and don`t be late ! What is the Swedish style? 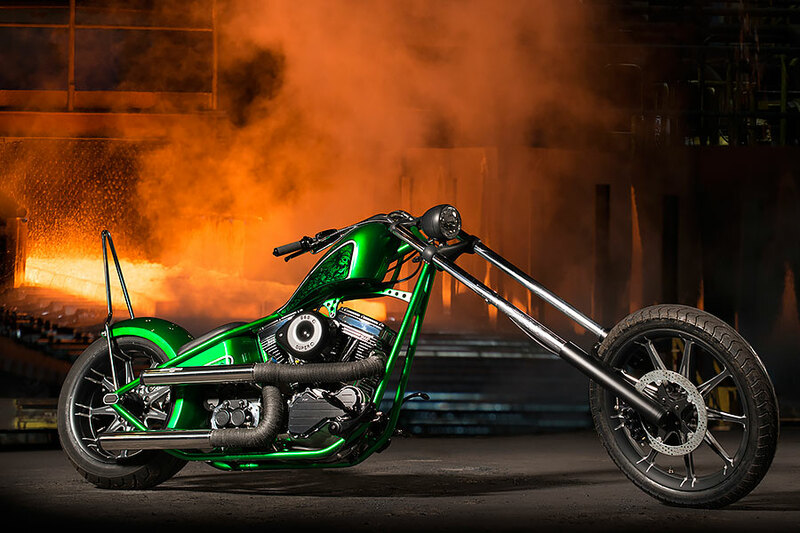 The Swedish bike builders have become respected and demanded all over the world for designing choppers – plus the natural inclination for a clean, minimalistic, stripped-down expression which characterizes most all Swedish designs. 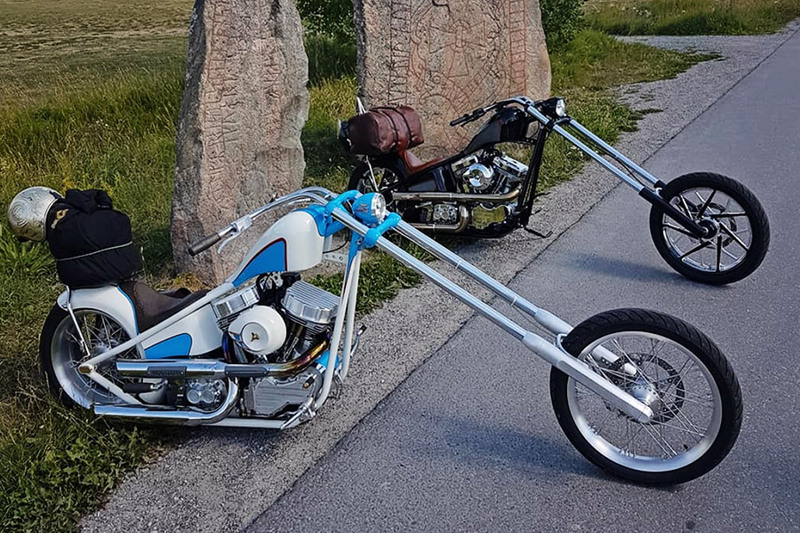 The custom of extending and ”raking“ the fork, the style made famous by the Easy Rider movie, was quickly outlawed all over the world – except in Sweden, where the legislation still leaves a loophole allowing registration of choppers. 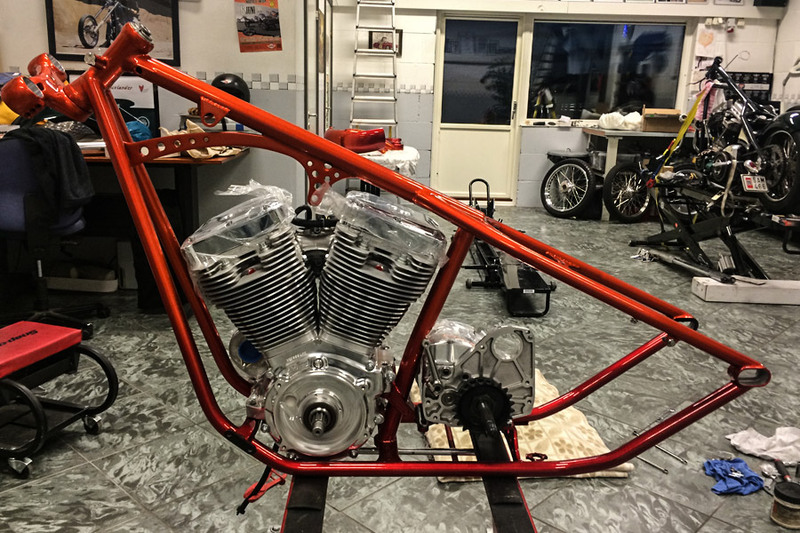 Founder and owner Peder “The Wizard” Johansson have been building Swedish long bikes and frames since 1982. 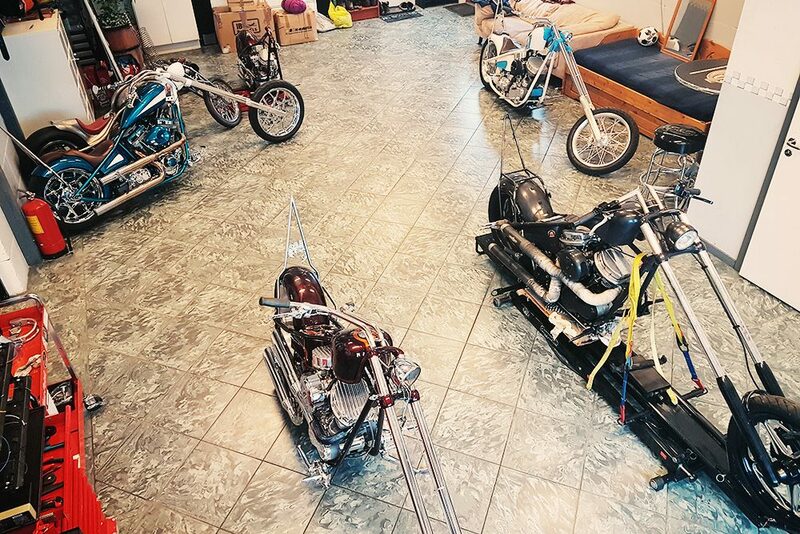 “Choppers are deep in our souls, especially the Swedish Style Choppers”. 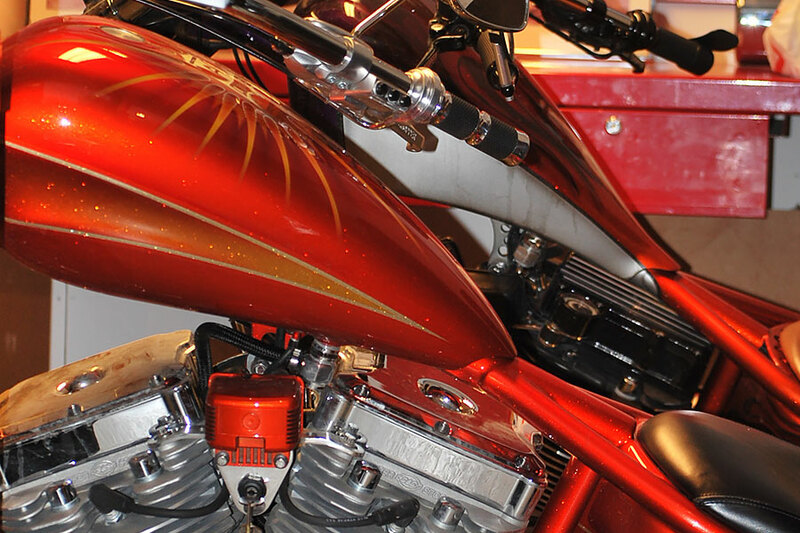 Hogtech`s modern work shop is fully equipped with state-of-the-art machines to lead the high demands of the industry. 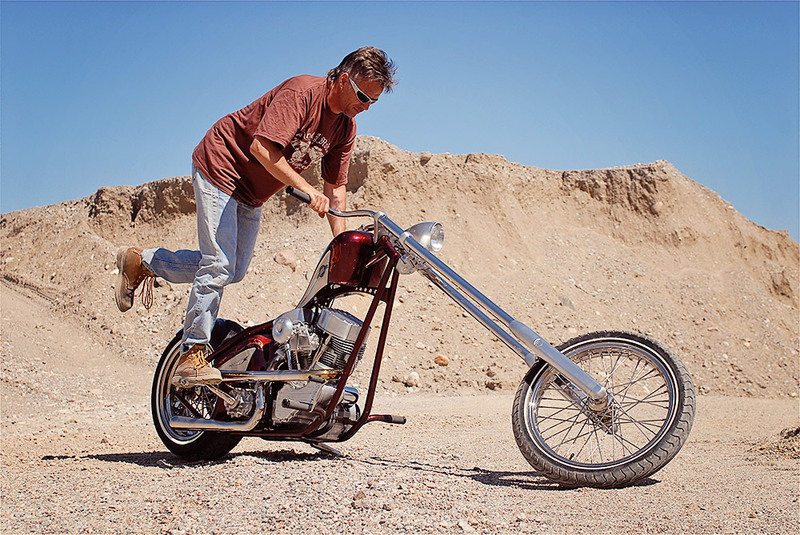 This isn`t the bike you think about for regular ride. The long fork attitude is almost overwhelming. 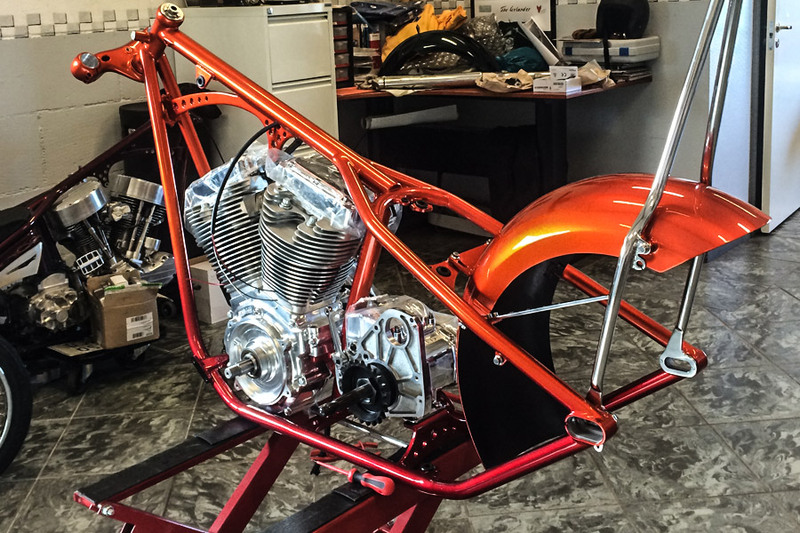 This is a once-in-a-life-time purchase of a machine that is pure expression of engineering, craftsmanship and design.